Como Park is a popular recreation area in St. Paul, featuring the Como Park Zoo, Conservatory, and a lovely lake . 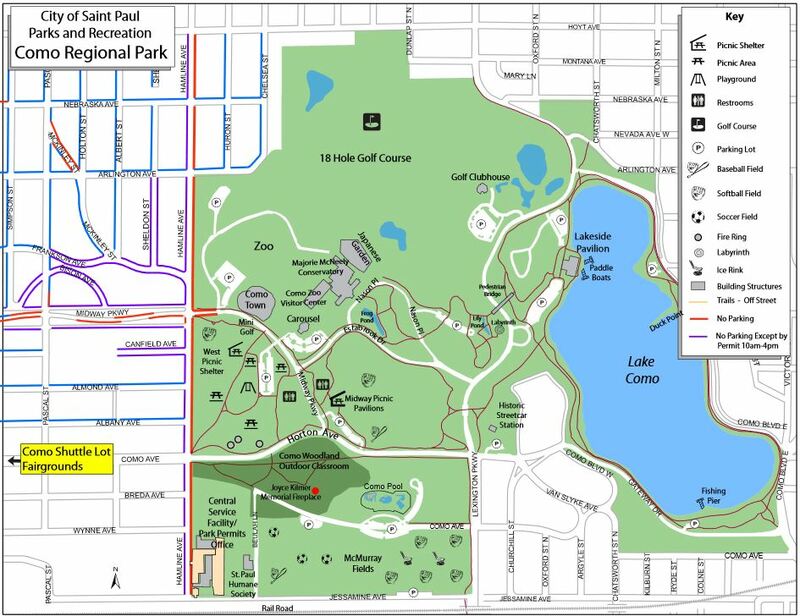 There is a 1.7 perimeter path around the lake, and numerous other trails in the park. Our 3.7 mile route includes the lake loop and 2 miles of additional trails. A good place to start is at the Pavilion, which also features parking lots. The residential area around the park is also pleasant for running. I went over this web site and I believe you have a lot of superb information, bookmarked (:. I’d must check with you here. That is not one thing I generally do! I appreciate reading a post that will make men and women believe. Also, thanks for allowing me to comment! Hiya very cool blog!! Man .. Excellent .. Amazing .. I’ll bookmark your website and take the feeds also…I’m satisfied to seek out so many helpful info here in the submit, we want develop more strategies on this regard, thank you for sharing. . . . . .
Wow, amazing weblog layout! How lengthy have you ever been running a blog for? you made blogging look easy. The whole glance of your site is great, let alone the content! We are a group of volunteers and starting a new scheme in our community. Your website offered us with valuable info to work on. You have done a formidable job and our whole community will be grateful to you. Spot on with this write-up, I really assume this web site wants much more consideration. I’ll most likely be again to read much more, thanks for that info. Hello There. I found your blog using msn. That is a really well written article. I’ll be sure to bookmark it and come back to learn more of your helpful information. Thanks for the post. isn’t the same outdated rehashed information. Excellent read! You’re so interesting! I don’t suppose I have read something like that before. on this subject matter. Seriously.. thanks for starting this up. This site is one thing that is required on the web, someone with some originality!